A fast-growing restaurant franchise known for its grain and broth-based bowl dishes is targeting Central Pennsylvania for expansion. 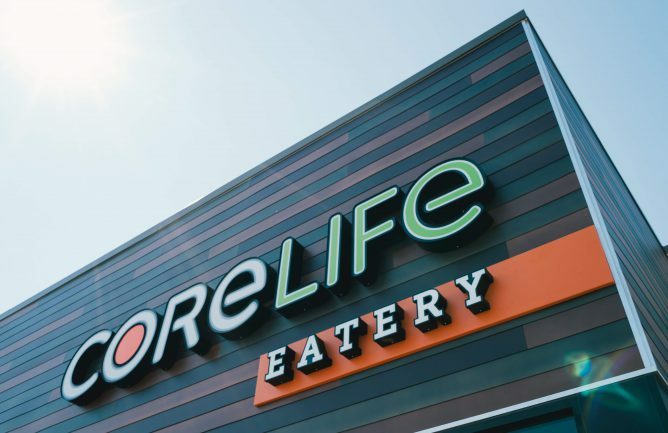 CoreLife Eatery, which started in Syracuse, N.Y., in 2015, is planning to open a new restaurant this summer in Lancaster County. And it said this week it would like to open additional locations in Pennsylvania, including in the Harrisburg area. The brand already has restaurants in Allentown, Wilkes-Barre and Pittsburgh. Co-founder Todd Mansfield believes Central Pennsylvania is a good fit for the chain’s healthy lifestyle concept, which features fresh foods free of trans fat, artificial colors and additives, sweeteners and GMOs. The fast-casual chain’s Lancaster County location will open as part of the Shoppes at Belmont in Manheim Township. The restaurant is slated to open in June at 1581 Fruitville Pike, Suite 110. CoreLife officials they want to open 40 new restaurants nationwide by next year, which will bring the brand to more than 60 stores. The franchise, which also operates in Michigan, New York, Utah, Ohio, Illinois, Kentucky and Indiana, is on track to have 300 eateries in the next five years through a combination of company-developed and franchised restaurants. Franchise locations usually cost between $750,000 and $1 million to develop. The initial franchise fee is $35,000 per location, plus there is a royalty fee of 5 percent of gross sales and a brand fund contribution and local advertising fee of 4 percent of gross sales. A Chick-fil-A recently opened in Belmont, the first business to do so in the Whole Foods-anchored shopping center. A Target is slated to open March 7.